From a tankard of ale to a bottle of microbrew, Philly's come a long way. 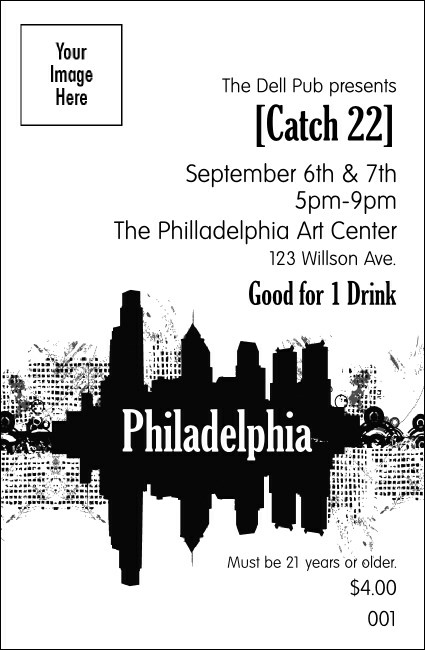 Keep up the tradition by selling Philadelphia Drink Tickets in advance of your next big event in Philly. With a dynamic black and white skyscape and space for you to upload your own custom image, this ticket matches the rest of the Philadelphia BW Event Kit. Everyone can find something to love in TicketPrinting.com's gallery of local Event Kits.